How do I edit the ‘Phase 1, 2, 3’ etc. text? Start from v4.3.6, you don’t need the old codey way below to edit the string in functions.php. We’ve already added a new option in Client Portal Settings and each portal called “Phase X Text” that you can change “Phase 1, 2, 3” to “Section 1, 2, 3” etc. We recommand you remove the previous PHP snippets from your functions.php and use the above approaches. 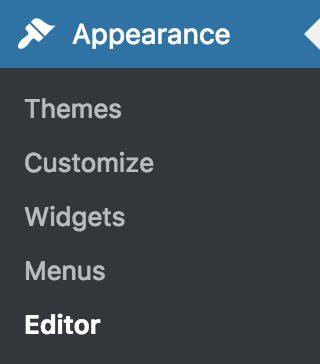 In WordPress, navigate to Appearance -> Editor. 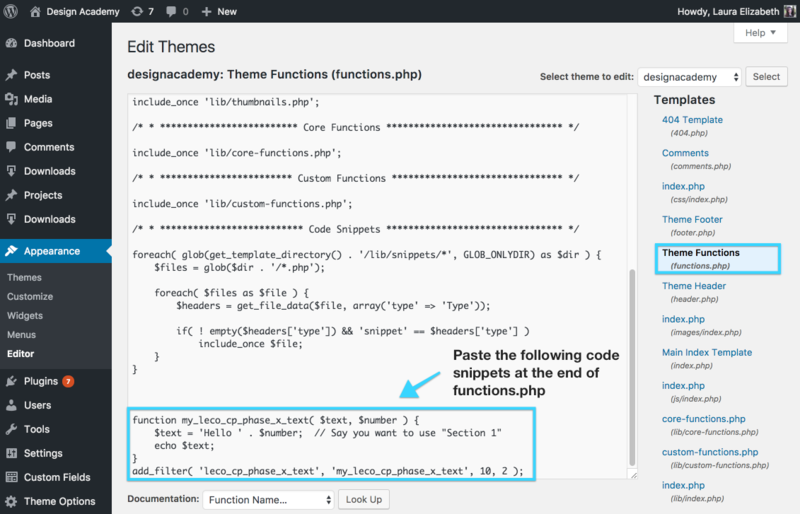 On the right hand side, click on Theme Functions (functions.php). To remove the ‘Phase’ text completely, paste in the following code snippet at the bottom of functions.php. To remove the phase number, paste in the following code snippet at the bottom of functions.php. And change ‘Phase’ to whatever you want it to say. To replace the word ‘Phase’, paste in the following code snippet at the bottom of functions.php.